Brian Cox and Robin Ince are joined by comedian Al Murray, as they transport the infinite cage to the Latitude Festival and pitch science against art for the ultimate showdown. Brian Cox and Robin Ince transport the cage of infinite proportions, to the slightly more confined space of the Latitude Comedy Arena. They will be joined on stage by a panel of guests, including Al Murray, for a witty, irreverent and unashamedly rational look at the world according to science. Given Latitude's artistic, musical and literary credentials, they'll be taking a huge risk by staging the ultimate show down, as they pitch Art against Science and ask which has more to offer and whether the two cultures might ever make a happy union. To help them battle it out, and alongside comedian Al Murray, they'll be joined by cosmologist Andrew Pontzen, comedian and actor Sara Pascoe and CERN scientist Jonathan Butterworth. Let battle commence! How do dreams become art? How many of these GCHQ puzzles can you solve? Seven brain teasers set by the government's intelligence agency. Irreverent look at the world through scientists' eyes. 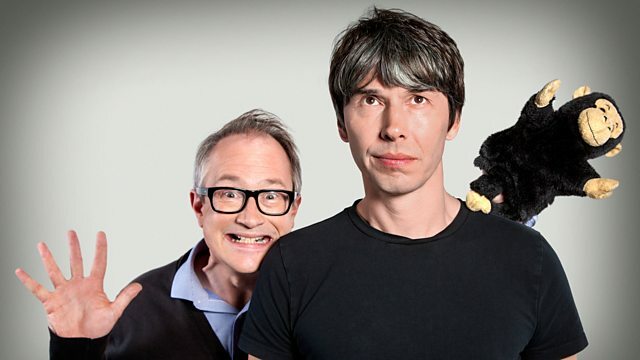 With Brian Cox and Robin Ince.